Getting to Zhangjiajie from within China is easy. There are regularly scheduled commercial flights from Shanghai and Beijing on Air China, China Southern Airlines, China Eastern Airlines, and Shanghai Airlines. The local airport is Zhangjiajie Hehua International Airport (DYG), which serves more than 50 destinations in mainland China, Hong Kong, and Macau. 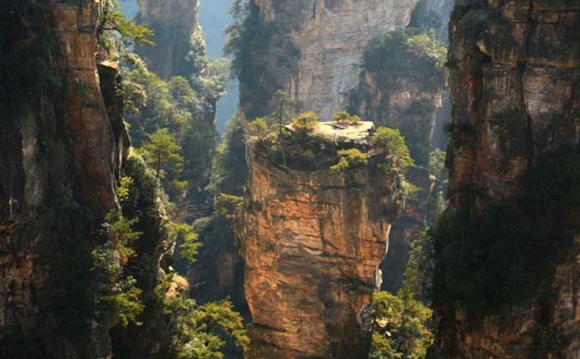 In ancient times, Zhangjiajie was regarded as remote and inaccessible. The history of Zhangjiajie can be traced back to the Neolithic Age when it was still named “Dayong”. The first human traces in this area have been registered about 100,000 years ago. Like other places in China, a legend has been developed by ancient people. It said that Zhang Liang-a famed strategist of the Western Han Dynasty (206 BC-24 AD), lived here after leaving the imperial court. He lived in fear he would be killed by Liu Bang, the first emperor of the Han Dynasty who had ordered some of his subjects executed out of suspicion they might rebel against him. 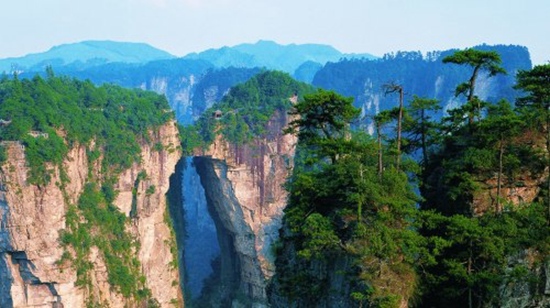 Zhang found Qingyan (Now Zhangjiajie) Mountain is an ideal refuge due to its haunting beauty and tranquility. He became a hermit. It is said he planted seven ginkgo trees here. He was buried below Qingyan (now Zhangjiajie) Mountain. Zhang’s descendants also are believed to have lived here, which is how the name Zhangjiajie originated. Zhang refers to Zhang Liang’s surname, while Jia means family and Jie represents homeland or border. 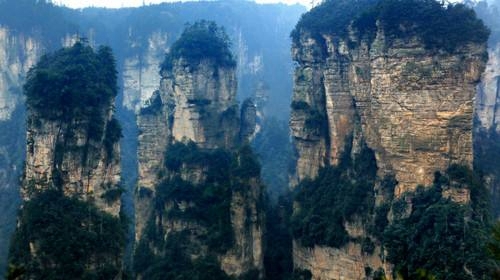 As Zhangjiajie National Forest Park is increasingly becoming known to world, Dayong city was renamed as Zhangjiajie city in 1994. 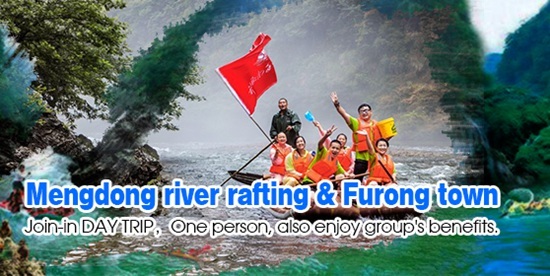 There are four areas under its governance: Yongding District and Wuling District,CiliCountyandSangzhiCounty. Now, Zhangjiajie is a major destination for tourism, where beautiful mountains, green lakes, deep caves, serene valleys, cultural heritage and special folk customs are available for all to experience. Zhangjiajie is home to three major ethnic groups: the Tujia, Bai and Miao people, which together make up approximately 70% of the local population. These people still retain much of their traditional culture, including language, festivals, clothing, and architectural stylese. 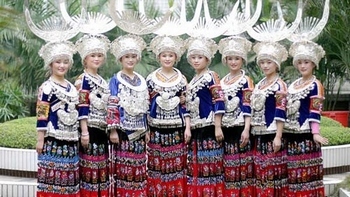 The long history of many minorities and their folk customs such as marriage customs, singing and dancing together, blended with modern culture, all contribute to the unique charm of Zhangjiajie. The people of Zhangjiajie are all very hospitable and visitors immediately feel at home. The Tujia, with a total population of over 8 million, is the 6th largest ethnic minority in People’s Republic ofChina, with a history dating back over twelve centuries. The Tujia are renowned for their singing and song composing abilities and for their tradition of the Baishou Dance, a 500 year old collective dance which uses 70 ritual gestures to represent war, farming, hunting, courtship and other aspects of traditional life. The traditional Hand-waving Dance and their richly-patterned brocade, known as Xi Lan Ka Pu (a kind of colorful bed cover) are regarded as the among the most appealing elements of Tujia art. The Bais, with 80% of their population of over 1.8 million people, live in concentrated communities in Dali Bai Autonomous Prefecturein Yunnan Province. Over the centuries, the Bais have created a science and culture of their own. To their credit are inventions and advances in meteorology, astronomy, calendar, architecture, medical science, literature, music, dancing, carving and painting. They have created a wealth of literary works reflecting their life, work, and struggles against nature and oppression. The Bai people are good singers and dancers, and even created Bai opera, known as chuichui, an art form combining folk music and dancing. The “March Fair,” which falls between March 15 and 20 of the lunar calendar, is a grand festival of the Bais. It is a fair and an occasion for sporting contests and theatrical performances. People gather there to enjoy dances, horse racing and other games. June 25 is the “Torch Festival.” On that day, torches are lit everywhere to usher in a bumper harvest and to bless the people with good health and fortune. Streamers bearing auspicious words are hung in doorways and at village entrances alongside the flaming torches. Villagers, holding aloft torches, walk around in the fields to drive insects away. 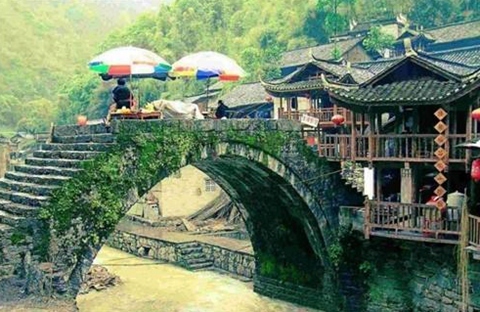 The Bai in Sangzhi County, Zhangjiajie, migrated from Dali, but their tradition and customs remain intact. The Miao, with a population of 8.9 million people, form one of the largest ethnic minorities in southwest China. 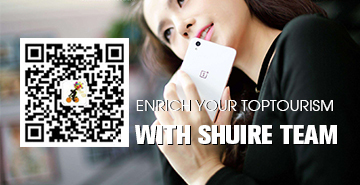 They are mainly distributed across Guizhou, Yunnan, Hunan and Sichuan provinces and Guangxi Zhuang Autonomous Region. Most of them live in tightly-knit communities, with a few living in areas inhabited by several other ethnic groups. They are also among the ancient ethnic groups with a long history, dating back over 2,000 years. The Miao have a highly diversified culture developed from a common root. They are fond of singing and dancing, and have a highly-developed folk literature. Their songs, which do not rhyme and vary greatly in length from a few lines to more than 15,000, are easy to understand and are very popular among the Miaos. The lusheng is their favorite musical instrument. In addition, flutes, copper drum, mouth organs, the xiao (A vertical bamboo flute) and the suona horn are also very popular. Popular dances include the lusheng dance, drum dance and bench dance. The Miaos create a variety of colorful arts and crafts, including cross-stitch work, embroidery, weaving, batik, and paper-cuts. 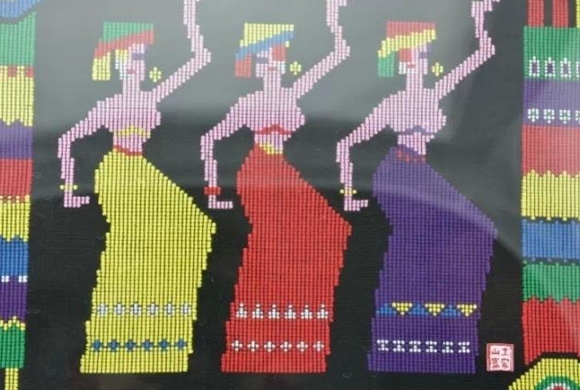 Their batik technique dates back 1,000 years. In recent years, improved technology has made it possible to print more colorful designs, and many Miao handicrafts are now exported. The Chrysanthemum stone, with a nickname of Stone of Wealth and Honor, was shaped over 200 million years ago, and is found in the rock at the bottom of the Daxi River in Hunan province. The stone contains patterns exactly like chrysanthemums, the official symbol of the Imperial Family of China. It is natural, rare and unparalleled, and unique in the world. The Chrysanthemum stone was first excavated and carved in the early of Qing Dynasty. When people built a dam, they found that the stone used for the dam contained patterns like chrysanthemums, thus different propitious shapes were carved out of the stone. Because of their lively appearance and unique shape, later the carvings were listed in the tributes to the king. In 1915, China exhibited one chrysanthemum stone in the International Expo held in Panama. It gained the golden prize and obtained the title of The first in the world. The quantity of these chrysanthemum stones is very small and its exploitation is very difficult. The flowers are embedded in dark gray limestone with celestite and calcite constituting the petal, stamen and pistil. The Chrysanthemum Stone contains more than ten kinds of trace elements, such as selenium, strontium, gold, silver, and bismuth. As a result, the chrysanthemum stone is very rare and their value is very high, with a deep symbolic meaning symbolic meaning—truly a collector’s item. Hunan Embroidery is a folk art with Xiang-Chu cultural characteristics created by the industrious and intelligent people of Hunan during the long period of historical civilization. Beginning more than 2,500 years ago, it was first developed by local women to decorate skirts, pouches and other articles. The designs show birds, animals, flowers and landscape. Originally Hunan Embroidery was done on a single side of a piece of fabric. Later craftsmen adopted the technique of double-sided embroidery in which both sides display the same design in the same color. In 1980, a new breakthrough was made: embroidery experts succeeded in producing pictures that were different in design, color and stitches on either side of a piece of silk. Hunan Embroidery incorporated the art of old Chinese culture from painting, classical Chinese poems and songs, calligraphy, metal and stone to form its own characteristics. Based on traditional Chinese painting, Hunan Embroidery meticulously portrays different materials with scores of embroidery threads of different colors. In early 20th century, Hunan Embroidery gained many honors at home and abroad for its unique style and became one of the four famous embroideries in China. Visitors can experience the art of Hunan Embroidery at the China Hunan Embroidery Museumin the yard of the Hunan Research Institute. In the workshop of Hunan Embroidery Research Institute, there are only women whose deft fingers can manipulate tiny needles like magic batons. Stitch by stitch, they work upon a piece of transparent nylon gauze until vivid patterns of flowers, birds, goldfishes and butterflies gradually emerge as if in a magic show. The museum shows this fascinating history and artistry to the world with more than 1,200 pieces of Hunan Embroidery. The works showcase the handicraft of Hunan Embroidery and the consummate works of elder artisans, vividly depicting the development course of Hunan Embroidery.Hunanembroidery is art recreated. 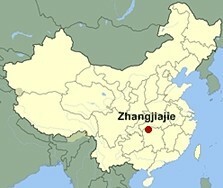 Zhangjiajie is a prefecture-level city consisting of Yongding and Wulingyuan Districts, Cili andSangzhiCounties. Wulingyuan District, also called Wulingyuan Scenic and Historic Interest Area, is endowed with striking natural beauty. This site is dominated by more than 3,000 narrow sandstone pillars and peaks, many over 200m high. 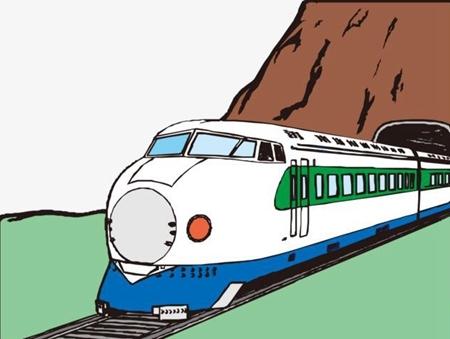 Between the peaks lie ravines and gorges with streams, pools and waterfalls, 40 caves, and two large natural bridges. It is also home to a number of endangered plant and animal species. Therefore, it was listed into the World Natural Heritage Catalogue by the UNESCO in 1992, and was awarded the title of “World Geological Park” in 2004. 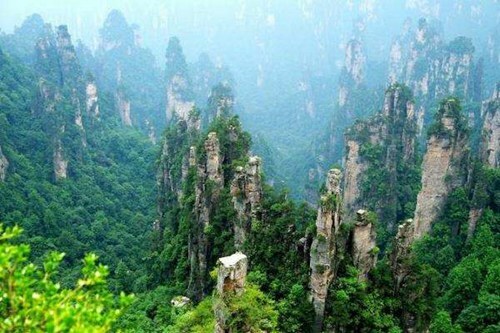 Quartz Sand stone Peak Forest and Karst Caves constitute the outstanding landscape features of Zhangjiajie, which are rare in the world. Here you’ll find yourself with hundreds of grotesque peaks, beautiful waters, towering trees, deep valleys, marvelous caves and exuberant forest that have formed a complete primitive ecological environment. 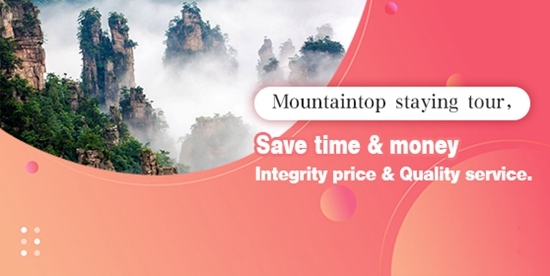 In fact, Zhangjiajie, honored as “The most fantastic mountain under heaven” and “a living Chinese landscape painting”, is a perfect combination of the beauty of Guilin, the grotesqueness of Mount Huang, the peril of Mount Hua and the magnificence of Mount Tai. It is also widely acclaimed as “an enlarged potted landscaping”, “a miniature fairyland” and “a maze of nature”, attracting a growing number of tourists from home and abroad. In December 1999, 15 international stunt flying aces from all over the world performed some breathtaking stunt flying in the skies above Tianmen Mountain. Out of this group, seven pilots flew their planes through Tianmen Cave for the very first time, while 800 million people watched the live coverage of this inaugural feat. In October 2007, French “Spider man” Alain Robert, famous for climbing high buildings and mountains, came to Zhangjiajie and climbed the left wall of the hole in Tianmen Mountain Equipped only with a pair of climbing shoes, he scaled the rocky wall of the mountain with his bare hands, thrilling onlookers from all over the world. In September 2010, the first International Cultural Tourism Festival took place in Zhangjiajie. By organizing and carrying out a broad variety of activities nationwide and publicizing and reporting the event through concentrated effort, the festival aims at presenting the accomplishments in the combination of tourism and culture and promoting the prosperity and development of the cultural tourism market. In September of 2011, world-renowned adventurer Jeb Corliss performed the stunt of flying through Tianmen Hole with a wing-suit. Wingsuit flying is the sport of flying the human body through the air using a special jumpsuit, called a wingsuit. Tianmen Hole is a 360-foot-tall, 96-foot-wide, and 260-foot-long formation located near the city ofZhangjiajiein centralChina’sHunanProvince. Corliss jumped from a helicopter hovering at 6,000 feet and successfully navigated through the hole. Zhangjiajie National Forest Park, covering over 50 square miles, is the first national forest park of China and the highlight of the gorgeous Wulingyuan Scenic Area. The park was originally a state-run tree farm, which was founded in 1958, and then was officially approved to be a national-levelforest parkin 1982. Featuring the vast forest of peculiar sandstone peaks, the park was added to the World Natural Heritage list in December of 1992 and became a member of the first World Geoparks promulgated by the UNESCO in 2004. It covers three natural reserves, and contains over 500 tree species, including the Dawn Redwood, believed extinct until it was re-identified in 1948. There are also giant salamanders, rhesus monkeys, and many bird types. 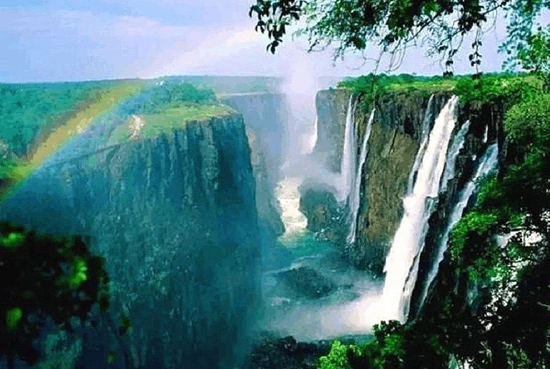 The complicated topography, steep cliffs, and deep gullies, as well as the heavy rainfall and dense forests, provide animals with an excellent living environment. There are 116 species of vertebrates belonging to 50 families that have been identified in the park. The largest animal population in the park is the rhesus monkey, which numbers more than 3,000 and can be found everywhere in the park. Macaque monkeys are found in Wulingyuan; they playfully jump from tree to tree. Unafraid of humans, they are like naughty children but will befriend the tourist who offers them candy or chocolates. They are classified into three groups according to fur color: blue macaque, yellow macaque and golden macaque. Hundreds live in the Zhangjiajie forest park. 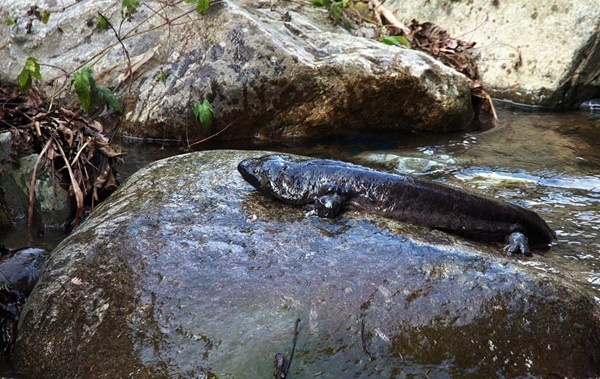 The Chinese giant salamander can be found in some streams and pools. They are also known as “baby fish” because they give a sound like a crying baby, and have four legs similar to a baby’s arms. Many giant salamanders inhabit cool, clean streams and ponds, relying on small fish, crabs, shrimps and frogs for food. The giant salamander was chosen to be the mascot of Zhangjiajie City at the 2007 Zhangjiajie International Forest Conservation Festival. Pangolins, or scaly anteaters, dig holes in their high mountain habitats. At about half a meter long, they have a hard carapace, long tongue, sharp claw, and small legs. They use their well-developed sense of smell to find insects. They tear open anthills or termite mounds with their powerful front claws and probe deep into them with their very long tongues. They are nocturnal mammals and spend most of the daytime sleeping, curled up in a ball. Carrying water birds, a tate-protected animal, are distinctive, with their colorful feathers. Each bird has a special bag-like organ for carrying water. These birds usually live on mountaintops and will fly to streams or rivers to drink water when thirsty. After drinking almost one kilogram of water (a little over 2 pounds of water), they will use their bag to store water for later days. Among scarce plants, the Dove Tree (also known as the Handkerchief Tree) is perhaps the most famous. It is regarded as a “living fossil”, having survived during the Glacier of the Fourth Period (2.5 million years ago). Botanists were unable to trace its origin until the middle of the 19th century. The Dove Tree, a medium-sized tree very suimilar to a dogwood tree, is best known for its flowers. These form a tight cluster about 1–2 cmacross, reddish in colour. Each flower head with a pair of large (12–25 cm), pure white bracts at the base performing the function of petals. These hang in long rows beneath the level branches. The flowers are at their best in late May. On a breezy day, the bracts flutter in the wind like white doves or pinched handkerchiefs, hence the English names for this tree. In the Badagongshan National Nature Reserve located inSangzhiCounty, there exists a small valley replete with over 10,000 wild dove trees. “DoveTreeValley” as it is known, boasts the world’s biggest “King Dove Tree”-it stands 100 feet tall. Lobster flowers (named after their red, yellow or purple shrimp-shaped petals) usually grow in humid and shady places. In full bloom along the bank of Golden Whip Stream (located in the east of Zhangjiajie National Forest Park), they provide a stunningly picturesque scene. Wulingyuan abounds with Chinese chestnut trees. The Chinese Chestnut is a medium-sized tree, maturing to heights of about 40-60 feet with a 40 foot spread. One Chinese Chestnut tree can provide up to 50 pounds of large meaty nuts that are equally sweet and nutritious. You are ready to collect your delectable crop of nuts when the decorative barbed capsules (that look like hedgehogs) begin to crack open. Care must be taken when picking them up, as they are very prickly. Tangerines have been cultivated for over 3,000 years in China and usually grow in Wulingyuan or Jiangya, and are a specialty of Zhangjiajie. Tangerines are smaller than most oranges, and are usually much easier to peel and to split into segments. The taste is often less sour, or tart, than that of an orange. While less tart, tangerines are considered to be sweeter than oranges. Ripe in autumn, they look beautiful, and provide a wonderful flavor. The management committee of the Yuanjiajie part of Wulingyuan Scenic Area in Zhangjiajie changed the name of the “South Pillar of the Heaven” (also called the “Pillar between Heaven and Earth”) to “Hallelujah Mountain,” a namesake floating island in the movie that circulates in the magnetic currents of the make-believe planet of Pandora. 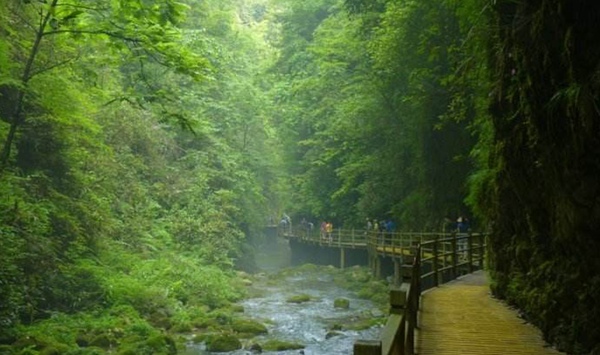 The Zhangjiajie National Forest Park in Hunan Province has opened an observation site to monitor local environmental protection and social, cultural, economic and tourism development. The site was inaugurated on July 14 under United Nations World Tourism Organization (UNWTO) auspices, as part of the Global Observatory on Sustainable Tourism (GOST) program. Luigi Cabrini, director of UNWTO Sustainable Tourism Development, signed the site’s book with the words, “I hope Zhangjiajie will become a most famous destination in the world, for its beauty and also for the new observatory, inaugurated today.” The observatory will collect data for use in scientific research on sustainable tourism development in the area. 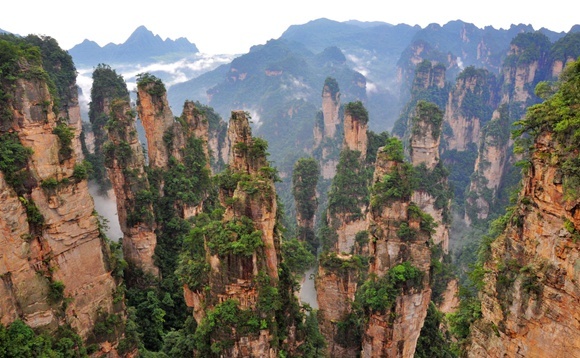 The local government at Zhangjiajie submitted an application to UNWTO’s Asia-Pacific regional representative in November 2009, and proposed establishing an observatory in the city, to the UNWTO secretary-general, last July. 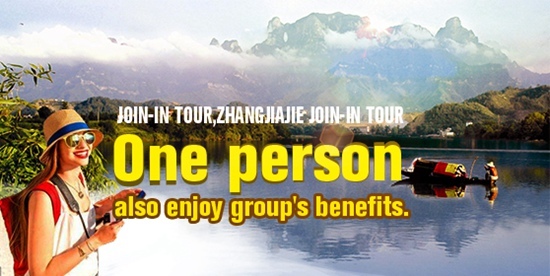 “Zhangjiajie’s tourism authorities are well aware of the importance of their work to the local economy, and even more importantly, of the need to manage its growth,” said the secretary-general, Taleb Rifai. “The observatory is a vital tool for doing this, by providing tourism organizations with the information they need to move forward in a sustainable way.” The observatory will collect data for use in scientific research on sustainable tourism development in the area. The GOST program began in 2004 to help establish a network of multi-level observatories around the world. This is a very important step forward forZhangjiajieNational Park. AsChina’s first national park, and now a UNESCO World Heritage site, it has seen tourism boom, stimulating economic growth, providing jobs and development opportunities for the locals. Zhangjiajie National Forest Park receives up to 40,000 tourists a day during high season.The observatory will collect data for use in scientific research on sustainable tourism development in the area.